Do you want to surprise your partner? 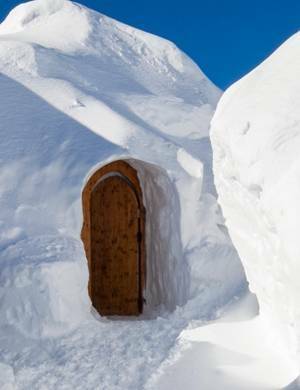 The Restaurant Hotel Iglú in Grandvalira is made completely from ice and lets you spend an unforgettable evening in total comfort. See for yourself! 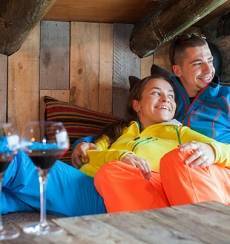 Enjoy your favourite sport with your partner: ski down endless slopes, relax and have a drink at one of the charming outdoor terraces at our resorts… Get ready to experience a love of heights! 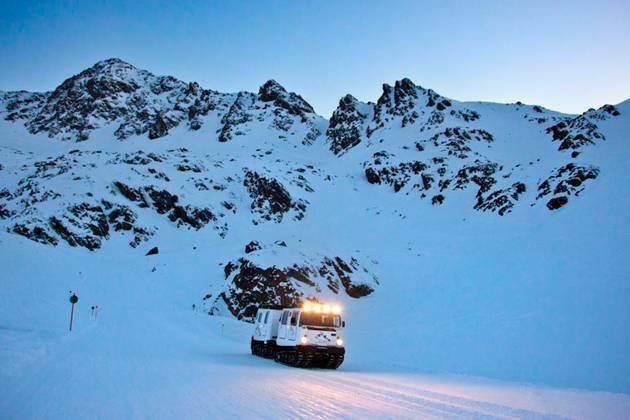 Choose Grandvalira if you're one of those who likes to get the most out of their day’s skiing. You will have endless kilometres of slopes to discover! If you'd like to try new things as well as skiing, Vallnord offers activities that you can’t afford to miss. Try cross-country skiing, you will travel through snow-covered landscapes and discover a different way of skiing. COUPLE’S BREAK? PREPARE YOUR ROMANTIC BREAK AND SURPRISE YOUR PARTNER! 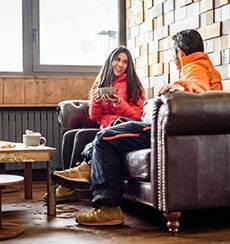 This winter, there are many activities where you are bound to surprise your partner: Candlelit dinners, journeys through snow-covered countryside, relaxing afternoons at a spa... All you have to do is choose which one you most fancy doing on your break in Andorra! 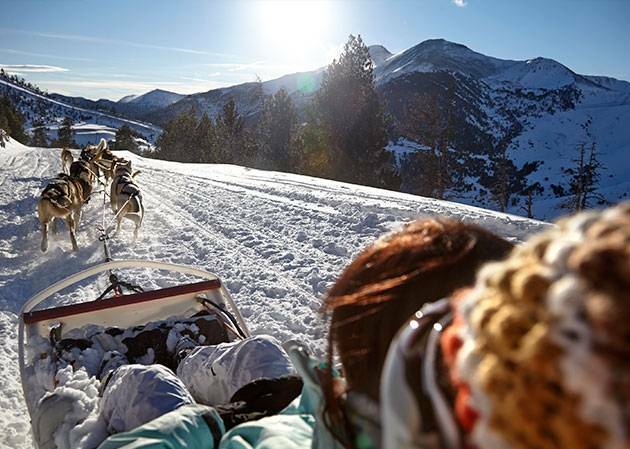 Why not travel in a sleigh pulled by Huskies: you'll travel along breathtaking snow covered trails. Spend a day exploring and make your way to the most isolated Andorran winter landscapes. Dine at the most charming, traditional restaurants in the country. Discover the cuisine of the Bordes! Find the treatment that best suits your needs and pamper yourself. Do you prefer big thrills? 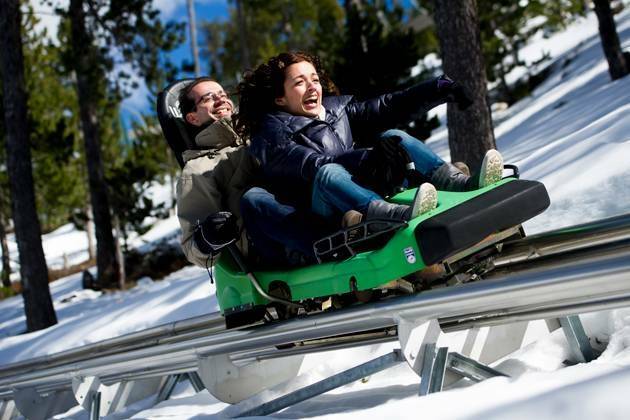 Try the longest toboggan run in nature surroundings in Europe. GIFTS THAT WILL WIN THEM OVER! 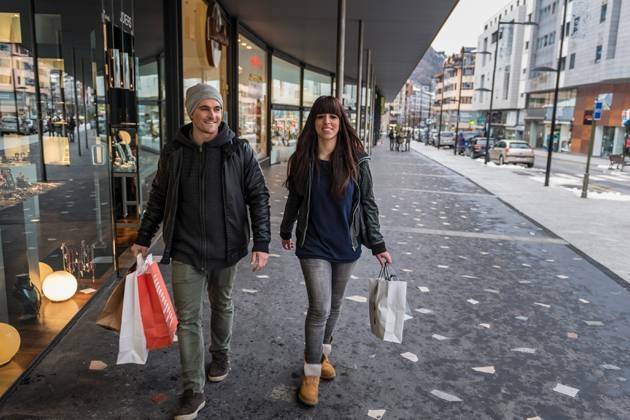 If you visit Andorra as a couple, take the opportunity to buy a gift to surprise your loved one. Find it in our shops! A romantic meal for two set against the backdrop of the snow-capped Pyrenees, a night in an igloo hotel, a couples' massage in a wellness centre… These are experiences you will only find on a romantic break in Andorra. Do you want to find out for yourself? Day and night, Andorra has everything you need to enjoy an unforgettable break with that someone special. Shopping, eating out, sports, relaxation etc. Want to live the next unforgettable chapter in your love story? Andorra awaits you. The peace and harmony of our landscape blends into romanticism and complicity when the sun sets. There is so much to choose from when planning the perfect night out with your other half and a romantic meal in any of Andorra's many restaurants is a good place to start. On our website you will find a full list of establishments including the famous "bordas", traditional eateries in the countryside where you can enjoy exquisite dishes in a very special atmosphere. 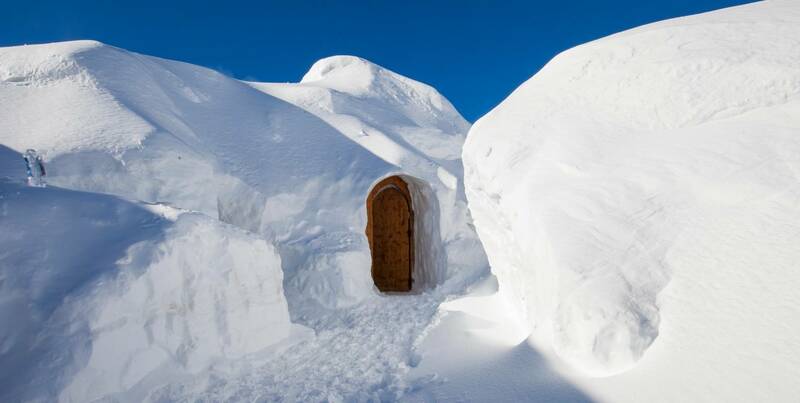 There are many accommodation choices and many of these are adapted to visitors on a romantic break in Andorra. Examples of these are the gastro hotels and spa hotels. 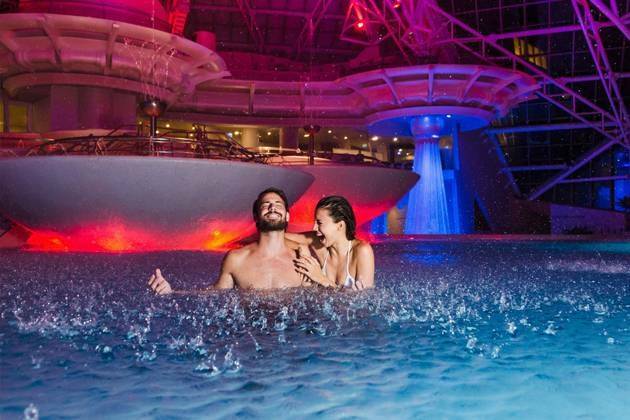 If you are looking for a relaxing break with your loved one, you will also be well looked after in Caldea , the Principality's largest spa and wellness complex that opens all year round. Enjoying its warm thermal waters is an extra special experience when it is cold outside. Although there is no better way to relax than to enjoy a couples' massage in our wellness centres. The perfect way to recharge those batteries! And remember that you won't find better shops and businesses than those in Andorra. In our establishments you will find that special surprise gift for your partner. Thanks to our irresistible prices you will be able to buy it as a holiday gift! In Andorra, every moment is special: Romantic meals and spas rank amongst its star attractions. 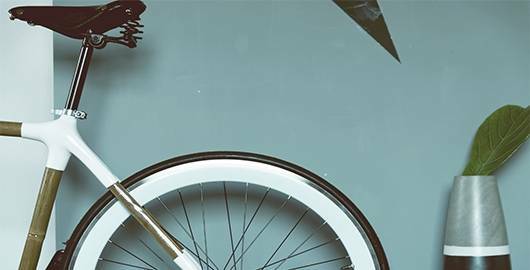 If you are energetic and don't want to slow it down while on your holidays, you will find that Andorra has many winter outdoor and indoor activities on offer. Skiing is one of these, either in the Alps at Vallnord and Grandvalira or in the Pyrenees in Naturlandia . If you like exploring, Gicafer excursions are an interesting way to discover the hidden jewels of our countryside. 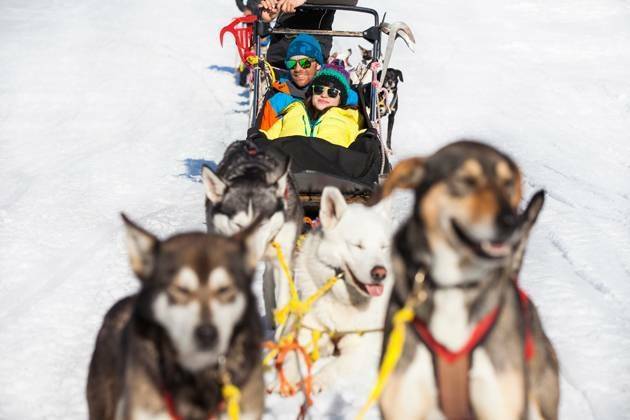 And the list continues with many others: mushing, cycling, snowmobiling etc - all in the snow. As you can see there is a lot on offer. 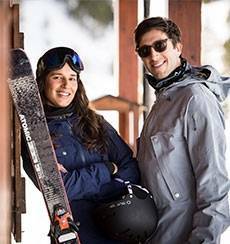 Check out what's on offer on this page and follow the links for each activity, where you will find out all about things to do in Andorra for couples.